Section 3: Understanding of the Salaf on a Muslim’s Alliance to the Kuffar by spying or providing resources and support. Chapter 5.1: The Kharji notion that Muslims can never exhibit friendliness towards war-mongering Kuffar and if they do then it is Kufr al Akbar based on the apparent action of friendliness. 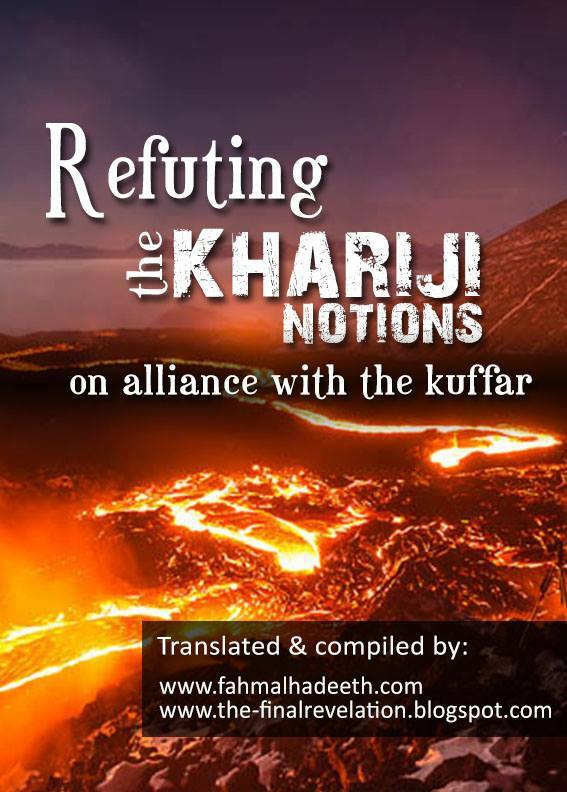 Updated on 27.11.2015 – Added section 5.4 titled :Chapter 5.4: The Kharji notion ‘ the outcome of the Alliance determines if the one who allied remains a Muslim or a Kafir ‘ Addressing along with this the incident of *some* Maliki scholars making takfeer of Mu’tamid of Sevilla for allying with the christian french kingdom. . Added Tabulated and linked Table of Index so you can hover above any content in the index and click on it to directly jump to that content in the book.